On behalf of the 495/MetroWest Partnership and our survey partners Framingham State University and the MetroWest 495BIZ publication of the Worcester Business Journal, we are pleased to share with you the results of our second annual Employer Survey. We would also like to thank our outreach partners and event panelists from the Corridor 9 Area, Marlborough Regional, MetroWest and Milford Area Chambers of Commerce. Similar to last year's survey, sentiments among employers in the 495/MetroWest region are positive but demonstrate increased caution this year. As a public-private non-profit focused on ensuring the success of the regional economy, we hope you find the results, accompanying presentation, and media coverage informative. The Partnership will continue to use this data on the business conditions facing our employers with regional leaders and policymakers to advance our regional economy. Are you interested in locating or expanding your business in the 495/MetroWest Region? 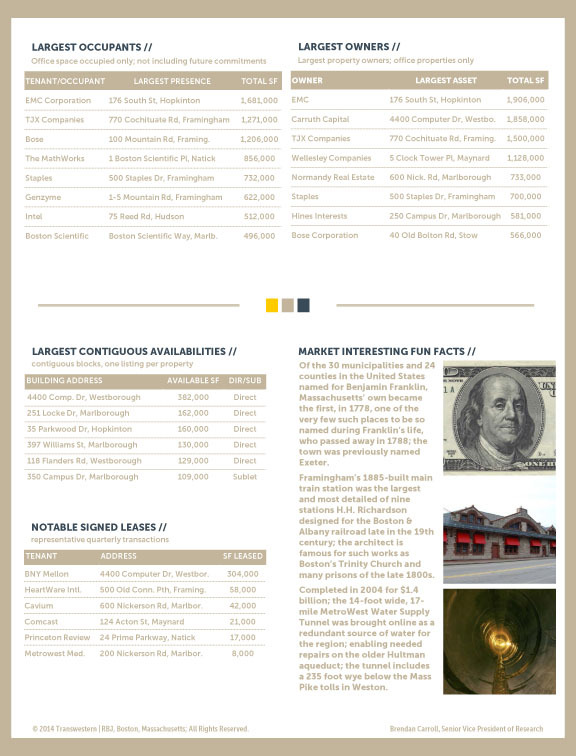 Let the 495/MetroWest Partnership assist you with your site location or expansion decision. Please complete our brief Grow in 495/MetroWest form and a Partnership staff member will respond to your inquiry. We look forward to working with you and your business! 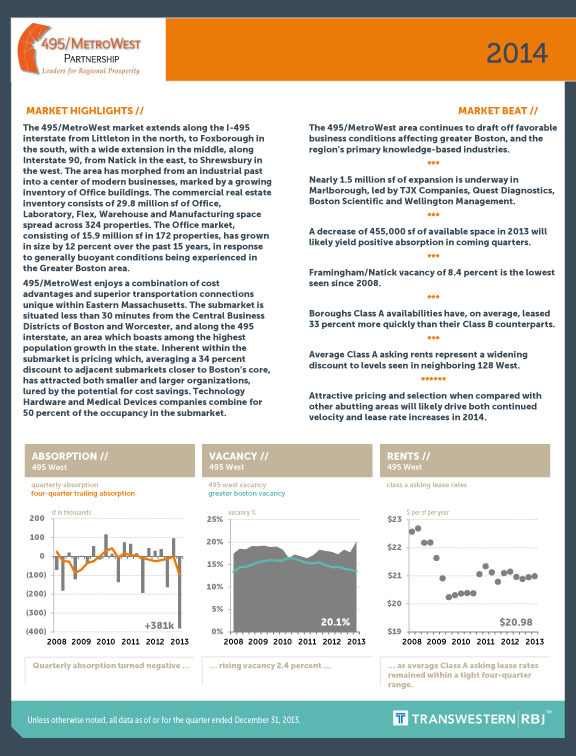 For the past few years, the Partnership has commissioned a report by Transwestern/RBJ analyzing the commercial real estate market in the 495/MetroWest Region. The report is an important tool in the Grow in 495/MetroWest initiative and we are happy to share this resource in support of our mission to advance the economic growth in our region.